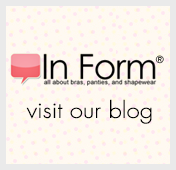 Are you looking for extra-firm-control shapewear but are worried it will make you feel hot and uncomfortable? Fear not. Now you have a cool choice. This garment allows you to look 10 lbs lighter in 10 seconds® while remaining cool and comfy. How? Its specially-engineered fabric conveys a cooling effect to the skin. You’ll feel it as soon as you put it on. And, this shaper is designed with mesh fabric inserts – in the front, above the leg openings, and at the upper back – that allow air flow and extra breathability. Choose this hi-waist brief to transform your tummy, midriff, waist, & hips. Machine wash warm. Do not use fabric softener. Use only non-chlorine bleach when needed. Tumble dry low. Do not iron. Do not dry clean.